The following are things that have been on my wishlist for a while now. As a student, I try to make sure that I don't go on too many spontaneous shopping trips otherwise my student loan would vanish very quickly. I blame all you bloggers for making such convincing posts! I feel like the following products will be worth saving for. 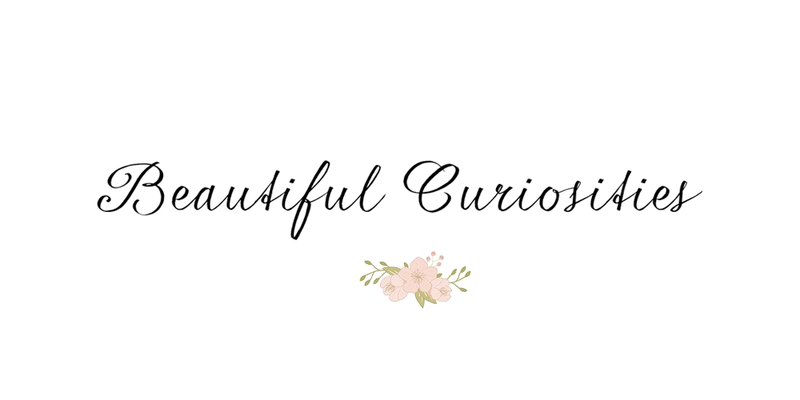 Jo Malone products have been around in the blogging World for a while now, but I'd never really been very interested as I don't often have baths (frequency is increasing now though due to Lush!) or wear perfume. However I recently had a browse on the site and found the 'English Pear and Freesia' collection. I haven't had the chance to smell any of it yet, but in my mind this mixture of fragrances smells amazing. I'll have to have a wander into Selfridges to see if the smell lives up to my expectations. If it does then I think the candle would be a great way to relax after a long day on campus. Although due to the price it might have to be something I save up for! 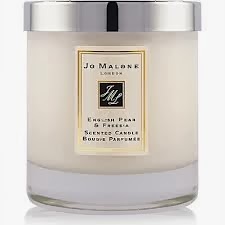 The Jo Malone English Pear and Freesia Home Candle costs £39 and is available from jomalone.co.uk, Selfridges, John Lewis and Amazon. I read a very convincing review for this primer on Essie Button, and decided that maybe it could be worth investigating further. After some internet searching my curiosity turned to desire. According to those who have already tried it, this is the primer to own. There are 2,078 reviews for it on Sephora, with an average rating of 4.5/5. 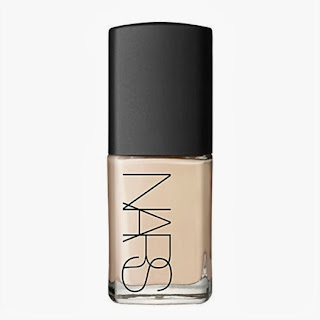 According to Sephora's website the primer: 'helps keep makeup looking fresh and prevents fading. 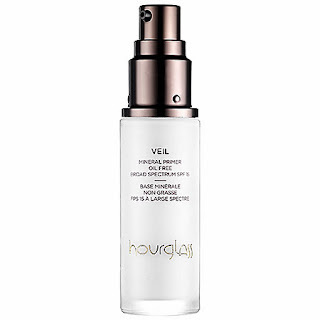 Veil Mineral Primer also absorbs excess oils and minimizes the appearance of pores by evenly distributing light to help hide and soften skin imperfections and fine lines'. This description seems almost too good to be true, but the reviews I've read seem to support its claims. The primer also contains SPF 15 and doesn't contain parabens, sulfates or phthalates. Definitely trying this one out when I can! 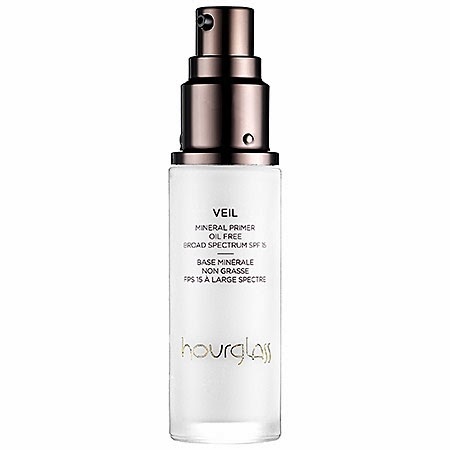 The Hourglass Veil Mineral Primer costs £20 for 10ml or £52 for 30ml and is available from hourglasscosmetics.com, Space NK, Sephora and John Lewis. Anyone who's interested in beauty will have heard of this foundation. Many people swear by it, but I'd never really read anything that would convince me to buy it over a different foundation. And I admit, when I had bad skin and required a full coverage foundation, I was slightly put off by the inclusion of the word 'Sheer'. However I recently read a review over on Bird's Words that did convince me that this is worth trying. My main issue with the foundation that I've been using (Estee Lauder Double Wear) is that the shade matches my skin perfectly, but as soon as someone takes a photo using flash (everyone's worst nightmare, right?) I turn into Casper the Friendly Ghost. 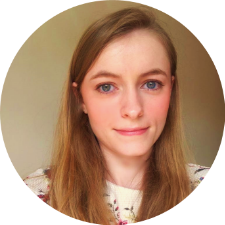 I have since been on the hunt for a foundation with buildable coverage (my skin has improved and I don't feel like I need a lot of coverage anymore) and that doesn't reflect flash horrifically. According to Beth's review this might be just what I was looking for! NARS Sheer Glow Foundation costs £30.50 and is available from many places including NARS' website, Sephora, Selfridges, John Lewis and House of Fraser. For a long time I've wanted the ability to take higher quality photos. I love the way that a good photo can transport you to a different time and place. I understand that it's the photographer and not the equipment that makes a good photo, but I do feel a little restricted with my 8MP phone camera. 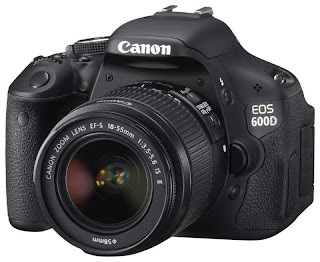 After a bit of research, and taking into account my budget, I've decided on the Canon EOS 600D. According to reviews it's a good camera for an introduction into the World of DSLRs, as its inbuilt functions make it easy for an inexperienced photographer to get a decent shot. My parents gave me some money towards this for Christmas, so I'm hoping I'll be able to afford it after my 21st birthday in May :) I can't wait! The Canon EOS 600D is widely available from about £270 for the body alone, or about £350 with the standard lens (18-55mm IS II lens for the keen photographers!). I think I found out about these from a link on Facebook. These tripods look so useful and handy, as they're small (weighing only 320g) but extremely extendable (up to 113cm). They also come in a variety of colours (did someone say mint?). I think this might be a good way of taking better photos with my phone whilst I save for the Canon, so I expect I'll be purchasing one of these soon. Have you tried any of these? Is there anything else I need to add to my wishlist? Really like this post! I think I am gonna do one of these on my blog since you inspired me!